Falling for Fall	Foto Friday: How did you spend your lunch break? 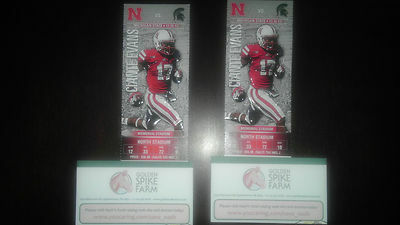 A friend of the farm has generously donated 2 college football tickets to the Nash fundraising campaign. Then he set up a raffle through ebay to raffle them off. All proceeds will go to Nash’s surgery fund. Please share this link with any friends in Nebraska or Michigan. Thank you for your support!